This was our first away match of the season against Nottinghamshire at Radcliffe on Trent Golf course and as a team we knew that all three counties were in contention for winning the league. However, we needed a win to keep us in the running. Once again the weather was beautiful and the course was in excellent condition. 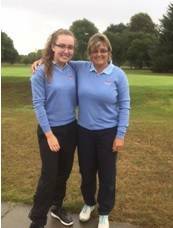 Leicestershire & Rutland ladies played some excellent golf in the morning foursomes games and secured a 2- 1 lead to set us up for the singles. 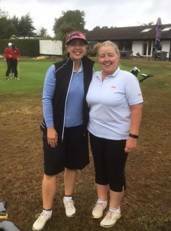 Cath Arter (Rothley) & Alison Horak (Ullesthorpe) won 2&1, Karen Bonser (Willesley) & Rachel East (Cosby) won 3&2 and Olivia Barrs & Barbara Sulfolk (Lingdale) lost. 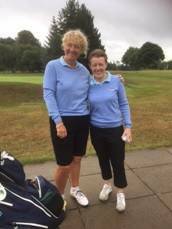 The afternoon singles matches got off to a fantastic start with the first two matches both finishing on the 15th hole, Cather Arter and Karen Bonser both won 4&3 to increase Leicestershire & Rutlands lead to 4-1. News of the two wins and the score rippled through the remaining matches and raised both the spirits and the performances of the remaining players. Rachel East secured a 2&1 win, and the last 3 matches all went down to the 18th, Barabara Sulfolk won 1up, Olivia Barrs lost 1 down and Alison Horak battled hard for a halve. The final score was Leicestershire & Rutland 6.5 and Nottinghamshire 2.5. All of the Leicestershire & Rutland Ladies played some fantastic golf to secure a great win, which has put Leicestershire & Rutland in a good position of contention for our final match against Lincolnshire on Sunday 5th August.